Breckenridge in Portland Oregon combines the comfort of your apartment with the convenience of high-quality community areas, to bring you the best value in apartment living. Enjoy easy access to Hwy 26, and live minutes from public transportation, great shopping, dining, and Portland’s vibrant downtown life. 3DAS was commissioned to create their 3D floorplans along with their 3D interior leasing center. 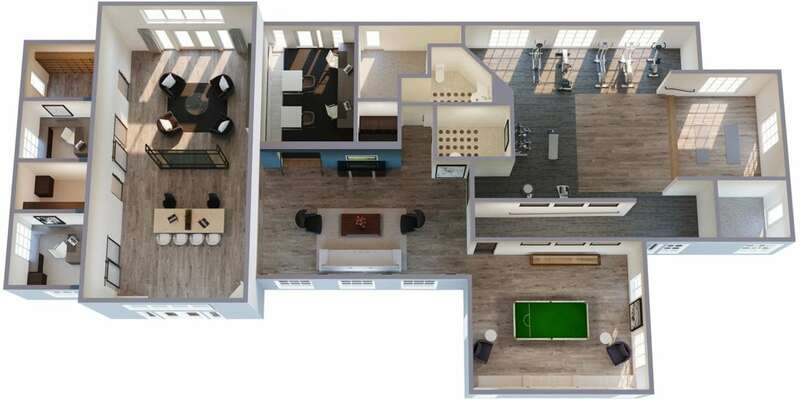 Breckenridge Apartment Homes in Portland have been upgraded with stainless appliances, design cabinets, new flooring and designer paint schemes – just the right upgrades in all the right places. To learn more about Breckenridge Apartment Homes, please go to their web site. Interior designs were done by CID Design Group.